Such a fabulous card, Nina! 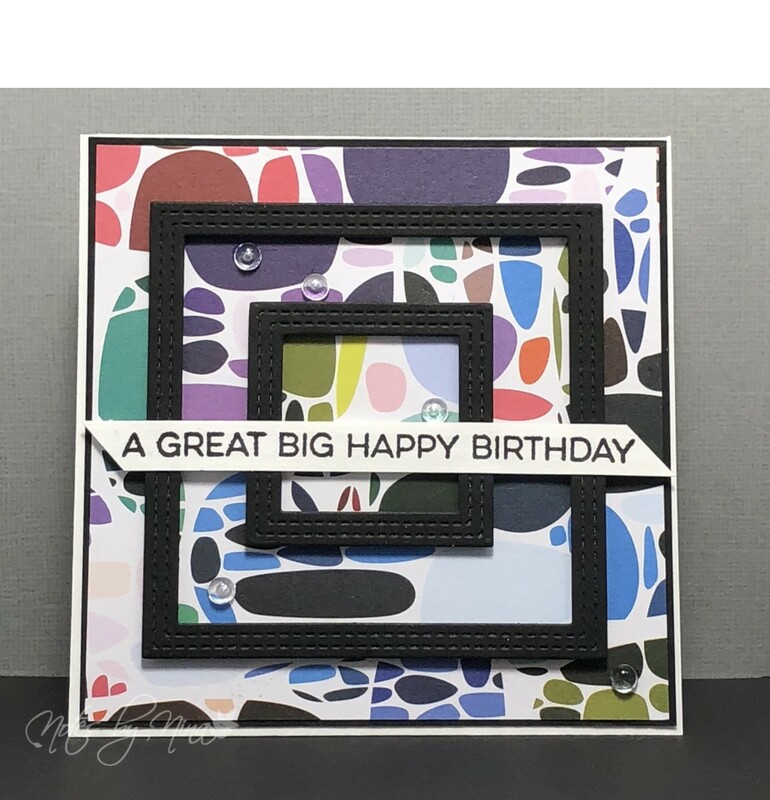 I love the geometric nature of your card with the telescopic squares and how you’ve trimmed your sentiment banner to match too. Thanks for sharing with us at Just Add Ink this week. I love the bold structure the frames add Nina. 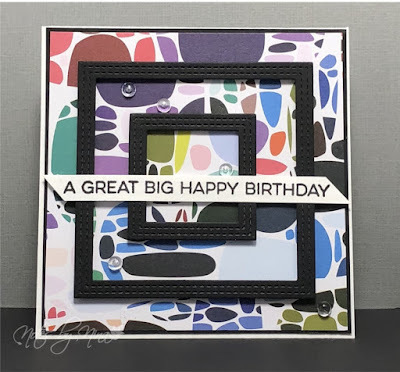 They provide a great contrast to that vibrant bold patterned paper! Thanks for joining us at Just Add Ink this week.